Our tinters have more than 25 years of automotive window tinting experience. In that amount of time; it is safe to say we are comfortable with all major brands and have gained a vast knowledge for every application between Ford's to Ferrari's. Did you know that window film not only enhances the look of your vehicle but also have other important advantages. First things first the most vital benefit that comes to mind.. Safety! In vehicle accidents windows are known to shatter into hundreds of tiny sharp pieces of broken glass, while with the adhesive found in window film holds the cracked glass together preventing it shatter. Window tinting also obtains a desirable aesthetic upgrade for a lot of people. Adding a nice light colored tint on any vehicle will give it a very noticeable and classier appearance. Window tint is also an effective alternative for vehicle security, for people who concerned about keeping their valuables safe. Tinting you care helps hide expensive items from outside strangers. 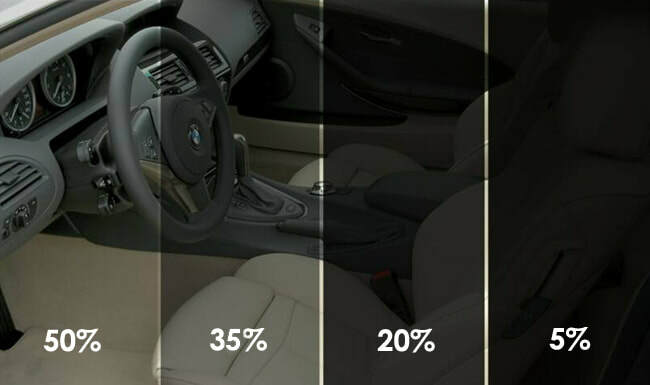 Tinting also reduces strong glares from the sun, protects the interior of your vehicle, gives you privacy, and all tint no matter how dark, cuts out 99% of UVA and UVB rays. Looking for lightbars, wheel lights, unbderbody glow kits etc.? Well, you have come to the right place! Here a Underground we custom design and fabricate wheel light kits for the Polaris Slingshot, Jeep Wrangler, and many more vehicles. We also specialize in under glow body kits for all vehicles. We carry the largest selection of LED lighting in the Sarasota/ Bradenton area! Looking to get your wheels painted, accents painted, bumpers painted or a full vehicle paint job etc.? Here at Underground we have over 20 years of professional experience in custom painting and light body work. Whether you want to get your paint touched up or want to completely change the color of your vehicle Underground never fails to deliver! We are proud to say that we are one of Sarasota's only customization shop that has a fully functional paint booth here in our state of the art facility! Looking to hydro dip your motorcycle, rims or the interior pieces of your car? Whether you want your entire motorcycle dipped or the door handles in your car, no hydropdipping job is to big or to small! Underground carries one of the largest selections of hydrographic film in the South West Florida area! We are proud to say that we are Sarasota/ Bradenton's only hydrographic film installer! 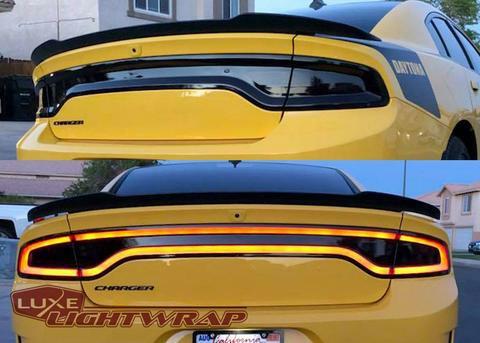 LightWrap™ is a premium quality cast vinyl film specially developed for wrapping vehicle lights and trim with translucent effects tinting the lens while letting light pass through. LightWrap™ materials are superior quality, cast PVC films that offer exceptional dimensional stability and excellent long-term durability, they offer excellent cutting and weeding properties, and are suitable for applications in outdoor and indoor environments. Exceptional dimensional stability and long-term durability suitable for indoor and outdoor applications and excellent conformability and adhesion for use on smooth or contoured surfaces.